Percy Sledge, one of the most timeless entertainers whose voice has filled the air-waves for nearly six decades has passed following health complications. 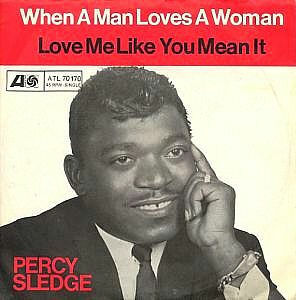 Known mainly for the immortal hit ” When A Man Loves A Woman” Percy recalled later that he signed away the rights to the melody which seemed at the time when he was young and green – to be the right thing to do. However, he was constantly reminded that he cut his wife and children out of much prosperity from his ill-advised move. The first song to ever become a # 1 hit for Muscle Shoals Alabama recording studio, it would later become an iconic melody of love and pain, recorded by dozens and also re-made into a number one song again by American singer Michael Bolton. Sledge will be remembered as a gentle man with a big heart and beautiful smile. Always good to work with in the studio, a family man and a true man of faith. Footnote comment for all aspiring artists, bands and songwriters; Make sure you have qualified advice before giving away the rights to your music.What happened to Percy Sledge, although he had a full and wonderful career might have been greater yet had he been able to enjoy the fruits of his labor and inspirations, thus providing more for his family’s future through the royalties earned from one of the biggest mega-monster songs in the history of Pop music.